And yet, Paul Robeson remains virtually unknown by millions of educated Americans. People typically know him for only one, if any, of the major successes of his life: the concert singer best known for �Old Man River,� the star of Shakespeare�s Othello on Broadway in the early 1940s, the political activist blacklisted for his radical views and activism during the era of McCarthyism in the 1950s. 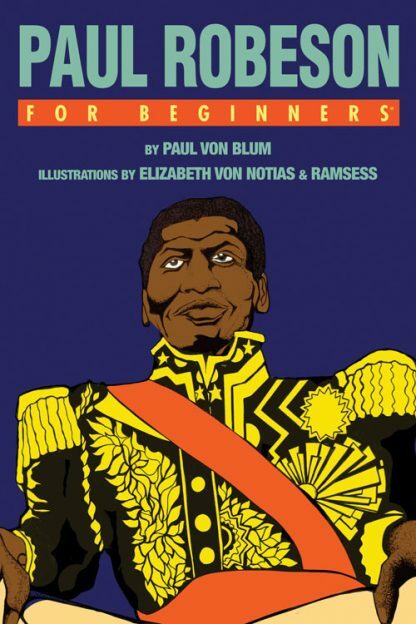 Paul Robeson For Beginners demystifies and bestows light and long overdue credence to the life of this extraordinary American. Paul Von Blum is Senior Lecturer in African American Studies and Communication Studies at UCLA. He has taught at the University of California since 1968, serving 11 years at UC Berkeley before arriving at UCLA in 1980. He is the author of six books and numerous articles on art, culture, education, and politics. His most recent book is A Life at the Margins: Keeping the Political Vision, his 2011 memoir that chronicles almost 50 years of political activism, starting with his civil rights work in the South and elsewhere in the early 1960s. Paul lives in Los Angeles, CA.